How Do Professionals Treat Social Anxiety Disorder? Are you curious about how common anxiety disorders are in older adults? What about which disorders are more likely to affect someone who is older? A recent study seeks to answer these questions and more. Read about it here. No news is usually good news — unless you come from the camp that thinks no happy news means everything is bad. Meet a common form of distorted thinking that can induce anxiety, panic, stress and a monster headache or two. As much as we may believe otherwise, the world really isn’t all about us. 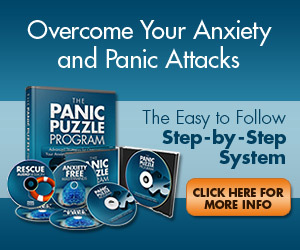 Thinking it is can be a surefire way to create anxiety, panic and stress. Read more to find out why and what you can do to stop it. Your panic, stress and anxiety may be coming from one of the many forms of distorted thinking common to gads of folks. Check out what happens when you dabble in the type of distorted thinking one called mind reading. Ever get that panicky feeling that you just posted something really dumb on Facebook? You are not alone, a report says, adding that site is known to bring stress to many and the amount of stress can be proportional to the number and type of your Facebook friends.